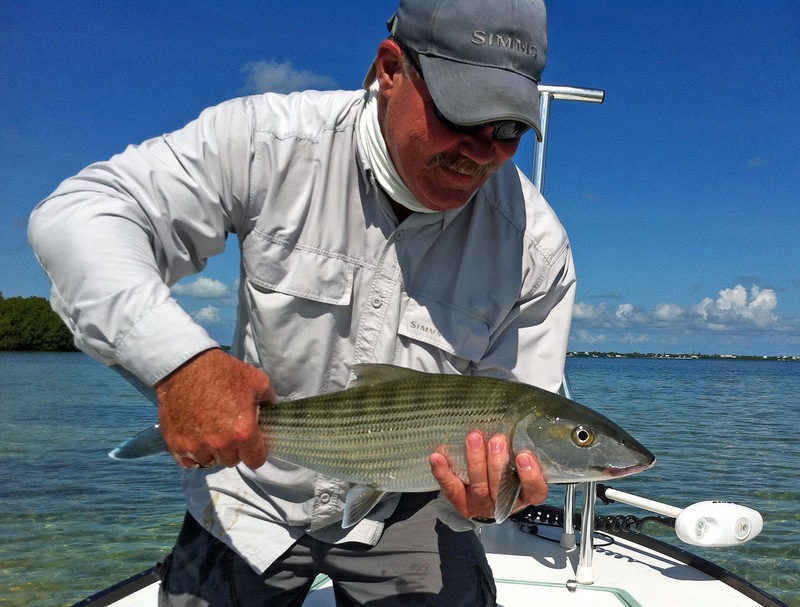 You should Be Here Now..
Another broken record fishing report... Weather and the fishing has been hot! Early morning starts have been key.. By mid afternoon the flats can be to warm to find fish. 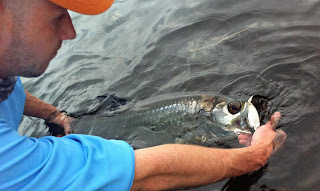 On the right tides we can find bonefish and permit tailing.. Fished this weekend with my buddy capt. Tom Mogan .. We found some very cooperative bonefish and had a blast! Shrimp Hatch + Tarpon = Fun! 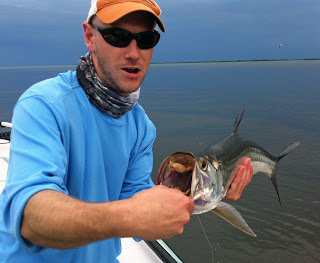 Fished with Andreas from Germany today.. weather was iffy... launched before dawn.. found tarpon and gulls feeding on shrimp.. But we have tomorrow too! Parrotdise has announced 30% off food prices for the month of Sept. That includes 30% off the half price happy hour prices too.. Try the sesame seared ahi tuna and the Caribbean jerk wings..
Plus the fishing is good! I still have some days available in Sept. and October..